Engage qualified prospects with the Alfa Romeo brand by creating an interactive display which complements the overall NYCWFF theme. Create a focal point for all guests visiting the NYCWFF which will generate media and social media interest during the festival. Integrating an Alfa Romeo into the New York Wine and Food Festival is exactly the type of challenge Centigrade enjoys stepping up to. The festival is held over four days and split between a daytime consumer show and an evening themed food tasting marathon. 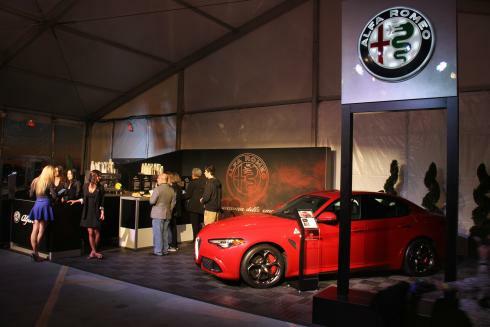 Centigrade created two separate activations which complemented both the festival themes and Alfa Romeo brand values. 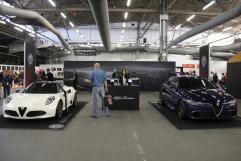 The daytime event featured an Alfa Romeo 4c and Guilia set in the heart of the show where guests had an opportunity the car and brand with product specialists and sample handmade Italian cookies from unique regions which are historically connected with Alfa Romeo. For the evening event Centigrade partnered with Lavazza coffee creating a coffee bar complete with baristas serving hand crafted espressos and lattes. 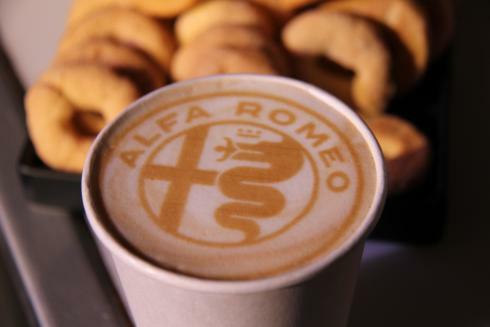 To enrich the coffee experience Ripples provided a Ripple Maker machine to print the Alfa Romeo logo directly onto the rich foam of the lattes. Guests chatted with product specialists to learn more about the Alfa Romeo Guilia, the center piece of the display. The team was tasked with engaging guests resulting in over 1400 requests for further information about the brand.